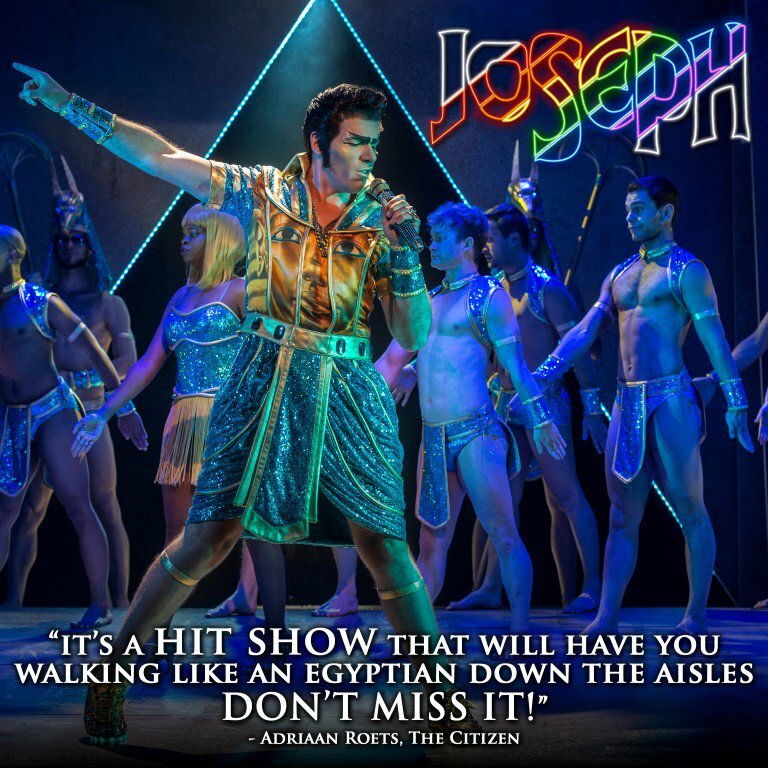 All is ready to blast off tonight – the first performance of the hit musical, JOSEPH AND THE AMAZING TECHNICOLOR DREAMCOAT. There is a run-through on stage as I’m typing and it sounds brilliant and quite different from the last production, so I’m looking forward to seeing this new version tonight. Which reminds me – BOOK SOON. If the start of the season is anything to go by, you need to ensure that you get a seat! All 5 shows this weekend are pretty much full to the brim – there are a couple of single seats dotted around, but those are likely to be snatched up by the end of the day.